Xen Tan Self Tanning Mousse. 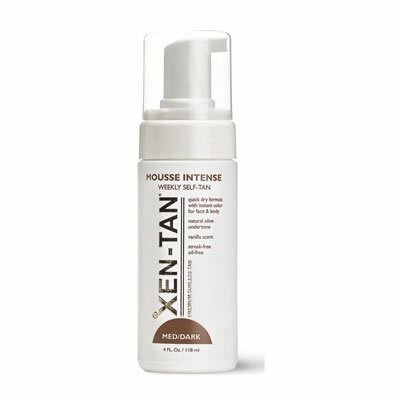 Xen-Tan Mousse is a quick-drying mousse that emerges as a whipped foam but has the same pleasant fragrance as all Xen-Tan sunless tanning products. Instant colour helps guide application for an even, streakless application while giving you the immediate satisfaction of a Mediterranean tan. Xen-Tan Mousse can be applied just prior to leaving the house as it is incredibly moisturising yet is oil free, so dries almost immediately. The light foam texture smoothes on easily and as light or dark as you like and the texture is perfect for first-time tanners, as it spreads so perfectly, so most of the work is done! This gorgeous streak-less tan lasts up to five days.